The Spring Festival is Tomorrow! 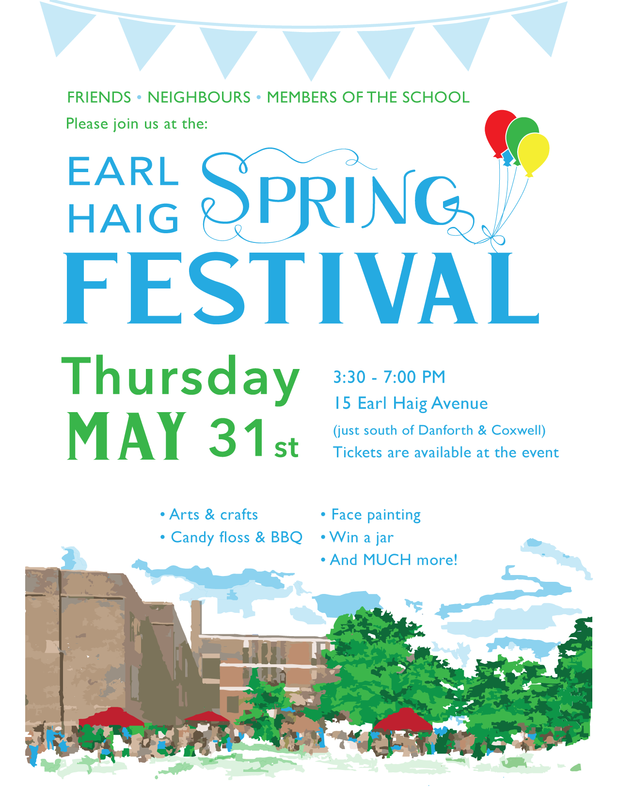 A fickle weather forecast just won’t keep us down… the Earl Haig Spring Festival is on tomorrow as planned! The festivities begin at 3:30 PM and run through until 7 PM. Bring an appetite and be prepared for lots of fun. Event tickets are available for purchase at the festival. Let’s all keep our fingers crossed that Mother Nature cooperates tomorrow. To all of our wonderful bakers, please bring your yummy nut-free sweet treats to the office tomorrow morning. And to all of our amazing volunteers, thank you so much for everything you do – our festival would not happen without you!